2day az I wuz grayzing on the grass in the frunt yard uv the winery, I thot abowt whut a lucky pig I am. Mi dawg frends Cabby and Chianti wur ther 2 hav the kids pet them, 2. Chianti lyz on his bak end grins, end sumtyms he also duz a danss with hiz bak legs. Cabby looks at U with hiz big broun I’s end evry1 thincks he iz so cyoot. I hoap that evry1 nos that pigs R smartr end cleenr than dawgs! Molly Merlot wearing her 4th of July outfit. Chianti lying on his back smiling. Molly Merlot eating Rosie’s pansies. Cabernet getting love from a little visitor. This entry was posted in Wine Musings and tagged Almond Champagne, Cabernet & Chianti, California, champagne, Creekside Grille, Golden Retrievers, Micro Mini Pot-Bellied Pig, Molly Merlot, Pansies, pig clothes, Temecula, vineyard, Wilson Creek Winery, Wilson Creek winery dogs. Bookmark the permalink. Hello there! 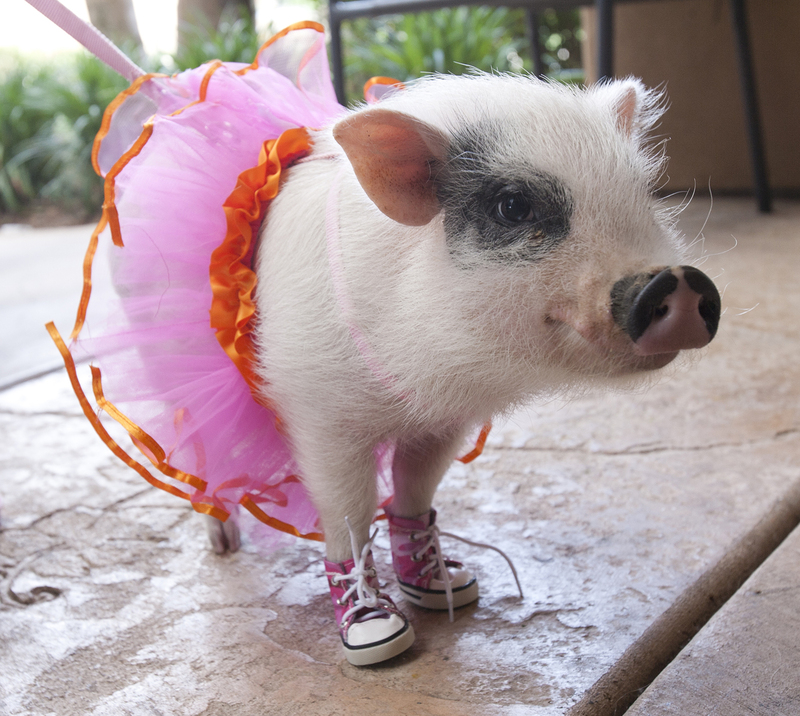 I would love to use the photo of this cute pig on my blog.. could you grant me permission? I will give full credit to you, of course. If you could please let me know, I intend to compose a post to publish on Feb 04th… my email is sallybr2008 at gmail dot com… thank you! Of course you may use the photo of our winery pig, Molly Merlot. awesome! Thank you SO MUCH! I will stop by to tell you when the post is published… thanks again! here you go… post is up!